Heather Green says she has done this walk around Seaford beach on Christmas Day, in the spring, and autumn, but it has never looked as good as on a summer day. Heather Green enjoyed a walk around Pevensey Castle and Haven. She says there is a lovely farm shop on the way round. Looking for ways of keeping children occupied during the summer holidays? Here are some ideas compiled from Uckfield News articles. 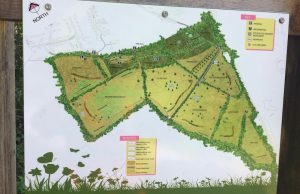 Heather Green recommends a walk from the Long Man of Wilmington car park towards Alfriston, round to Litlington and back up and over to the car park. She says The Plough and Harrow is a great pub and the Litlington tea rooms is also worth considering for refreshments. Wendy Tagg enjoyed seeing flowers, butterflies and bees in Chailey Common. She also heard long-horned cattle lowing in the distance but didn’t see them this time. Beware the cattle do wander over the road. Sheffield Park has a Waterlily Festival running for the next few weeks and Beverley Butler says it is most definitely worth a visit. She said the flowers had a way to go during her time there last week, but were still beautiful to see. Lovely views and wild flowers on a walk from Seaford Head to Birling Gap, says Denise Whittlestone. See her photographs below which were shared via the Uckfield News Where I’ve been this week Facebook page. Thank you Denise. 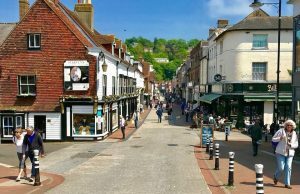 Mike Belford takes a walk around Lewes. His pictures can be seen here. Thanks to Mike for sharing his pictures via the Uckfield News Where I’ve been this week Facebook page. 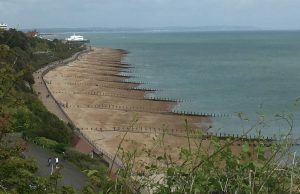 Heather Green says she usually does the marina and into Eastbourne but this time she started at the pier and headed up towards Beachy Head top road. On the way she had a picnic lunch in Helen Garden and on the way back came down at the beach.